Read Samsung Galaxy A9 2018 mobile reviews, opinions, user question & answers. 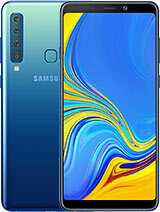 Get free Samsung Galaxy A9 2018 mobile via Lucky Draw by posting Samsung Galaxy A9 2018 mobile reviews and opinions. I have to say that this is the best phone I have ever seen. Samsung sets < 5000 Rs. Samsung sets 5000 to 10000 Rs. Samsung sets < 10000 to 15000 Rs. Samsung sets < 15000 to 25000 Rs. Samsung sets > 25000 Rs.